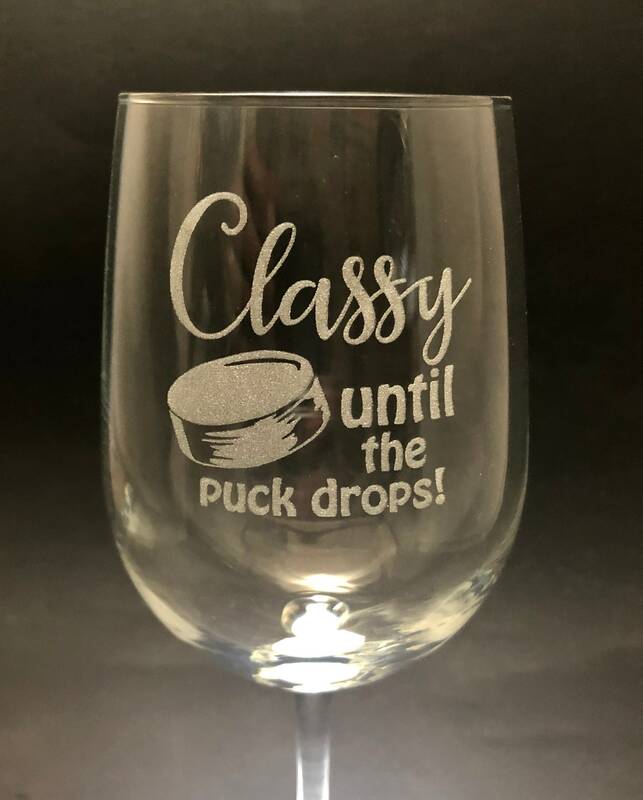 I come from a hockey town and I know a lot of local ladies that are all sweet until the puck drops on center ice. 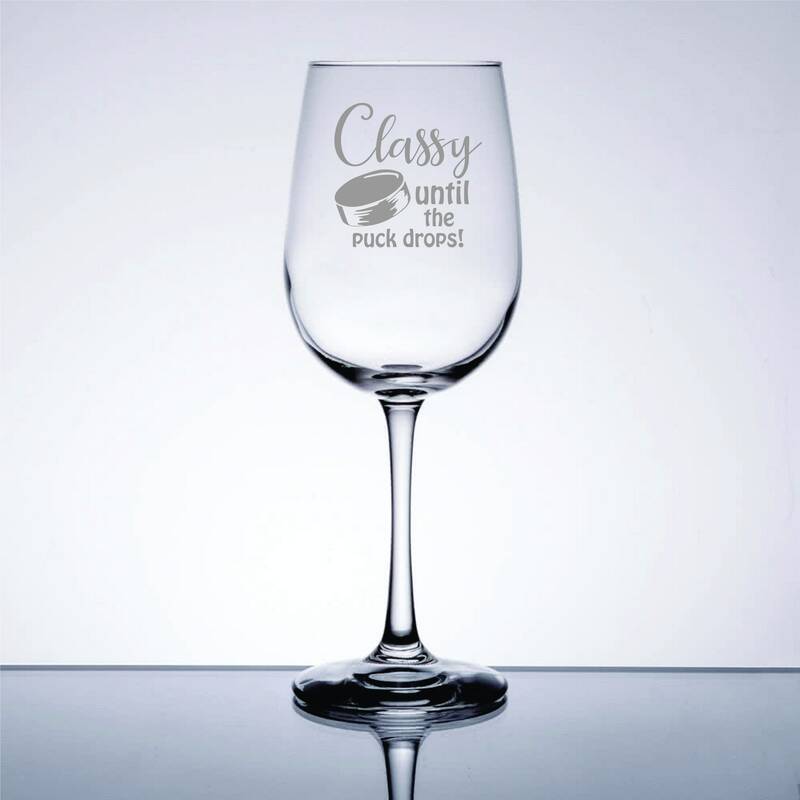 This glass is for those awesome ladies who aren't afraid to express themselves at a hockey game. * 16 oz volume. 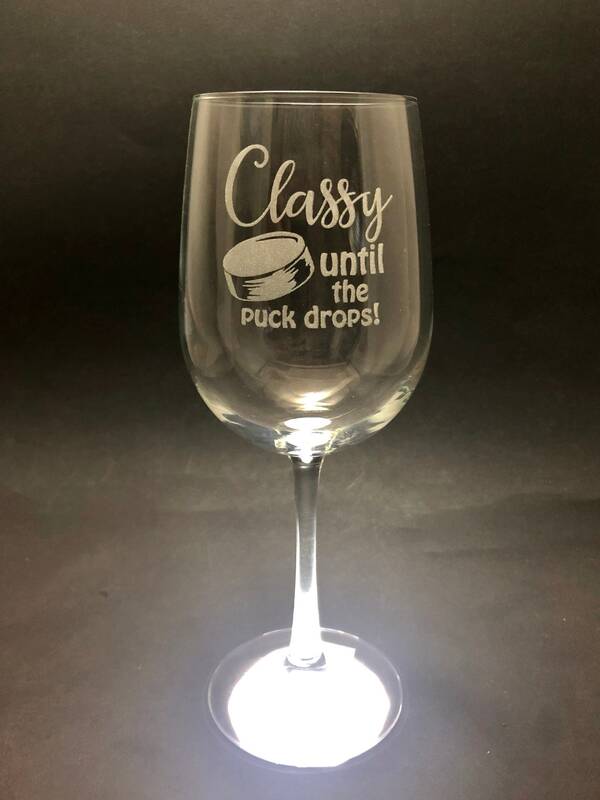 A perfect size for less trips on wine refills!